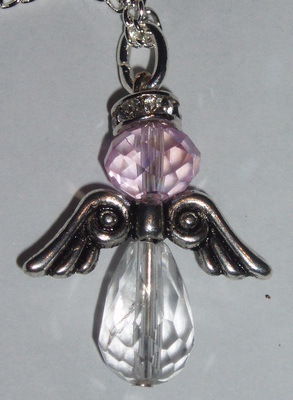 Each Angel has a Quartz Crystal body, pewter wings and a faceted crystal head. My own design and a perfect gift. You choose chain, length and head colour.